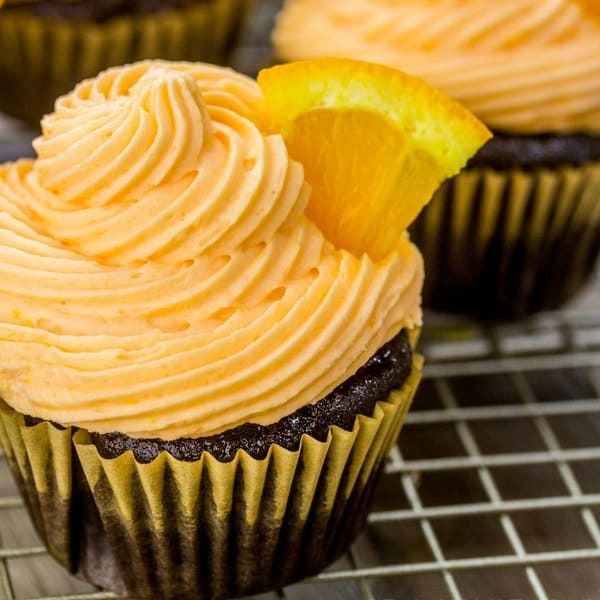 Chocolate and orange is a yummy flavor combination that will seriously excite your taste buds. 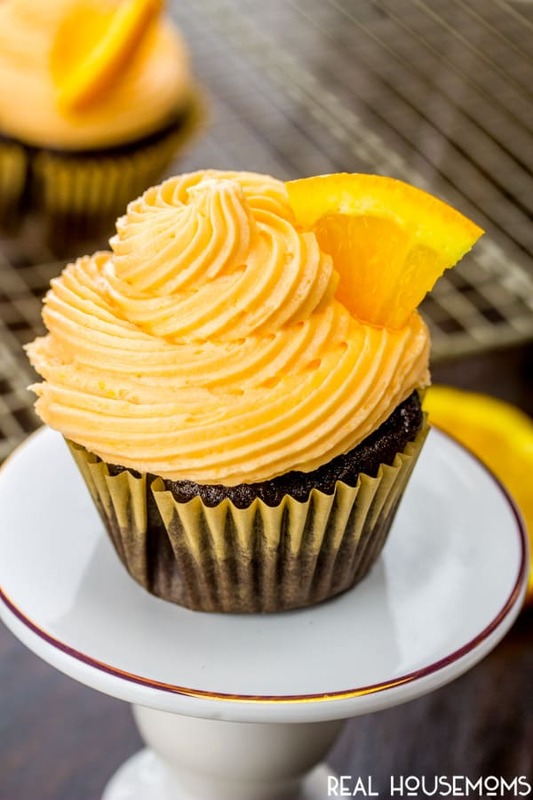 These easy Chocolate Orange Cupcakes are a favorite with everyone! Hey guys! It’s Alli from Tornadough Alli coming at you today! I’m so excited to be sharing here at Real Housemoms! So I’m a baker by nature, it’s in my blood and it’s what I do best. And I have a completely horrible (to some) addiction with all things cake. Yes….CAKE! So today I’m sharing my latest cake obsession, Chocolate Orange Cupcakes! I’m seriously not picky about the type of cake. I love sheet cake, layer cakes, cupcakes, lava cakes, bundt cakes. I mean I could go on and on and on all the cakes that this girl adores, but sometimes a cupcake is all I need. It’s the perfect little handheld treat and is a single serving and there is no cutting a slice and wondering if you should go big or small because really you have no option. If you’ve never had chocolate and orange together, then I’m sorry to inform you, you are sadly missing out. It is one of the best combinations that I’ve ever had. The citrus and the chocolate play of one another so well. Plus the coffee in this cupcake really enhances that flavor completely! 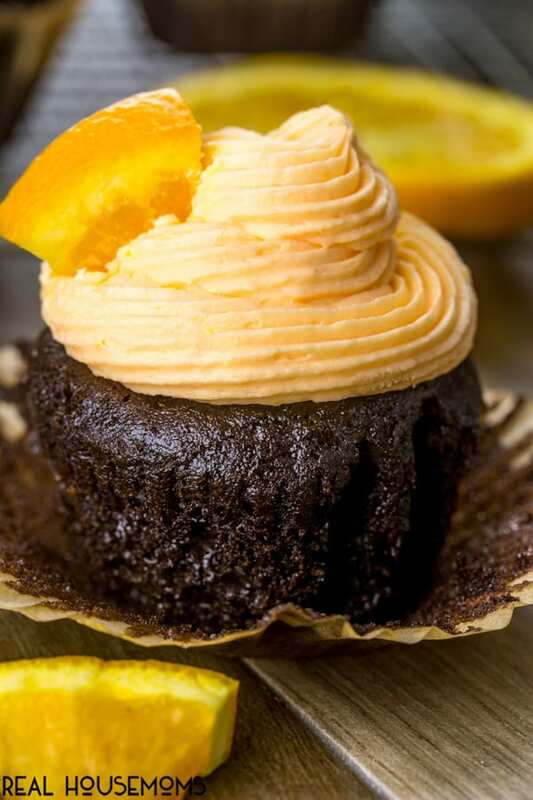 Another thing that really gives this Chocolate Orange Cupcake a delicious twist is that there is actually orange zest mixed into the cupcake itself. 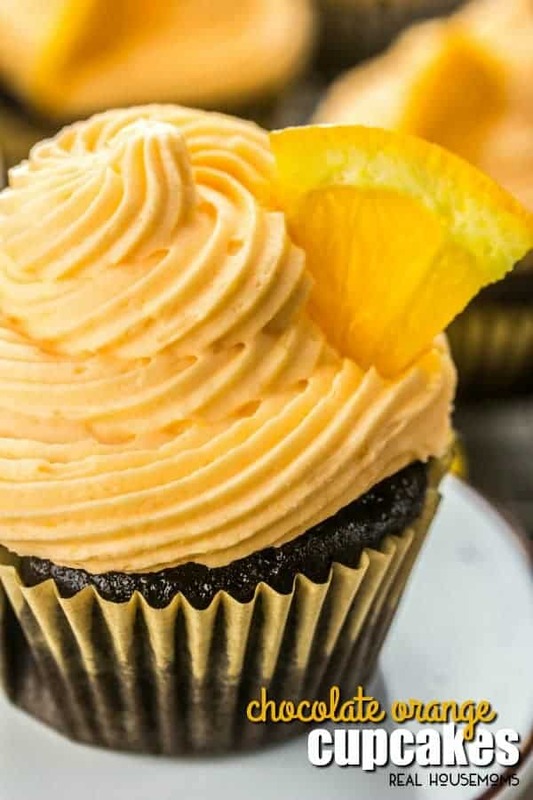 So you don’t just have orange as the frosting you have it in the cupcake. And boy, zest really does add flavor. I used to think that there really wasn’t any use to zest until I started using it! And boy has it changed my baking with citrus 10 fold! These cupcakes are a fun Summer flavor that would be amazing to bring to your next get together, have for the kids to snack on, or to indulgent in for that late night snack because come on….we all have to admit that it DOES happen. At least it does to me, and there is absolutely NO SHAME about it! Piping bag, icing tip & coupler: Disposable pipings bags handy to have on hand for filling desserts & donuts and food decorating. Pop a coupler and icing tip on your bag and you’re all set! Prepare a 12 cup cupcake pan with liners. In a mixing bowl, combine your cocoa powder, flour, sugar, baking powder, baking soda and salt, set aside. In another bowl mix together your milk, oil, egg, and vanilla. Slow beat your wet ingredients into your dry ingredients until combined. Add in your hot coffee and continue mixing until incorporated. Fold in your orange zest. Fill your cupcake liners about halfway full with batter and bake for about 18-22 minutes or until toothpick comes out clean and center springs back when touched. Remove from oven to cool, repeat with remaining batter. Meanwhile to make frosting beat your butter until fluffy, about 3 minutes. Add in your orange juice and continue to beat until smooth. cup at a time add in your powdered sugar until you reach your desired consistency. Mix in your food coloring as desired. Once cupcakes are cool pipe your frosting on top of cupcakes.